Envoys of the FFI at the headquarters of the city commander of Paris von Choltiz. 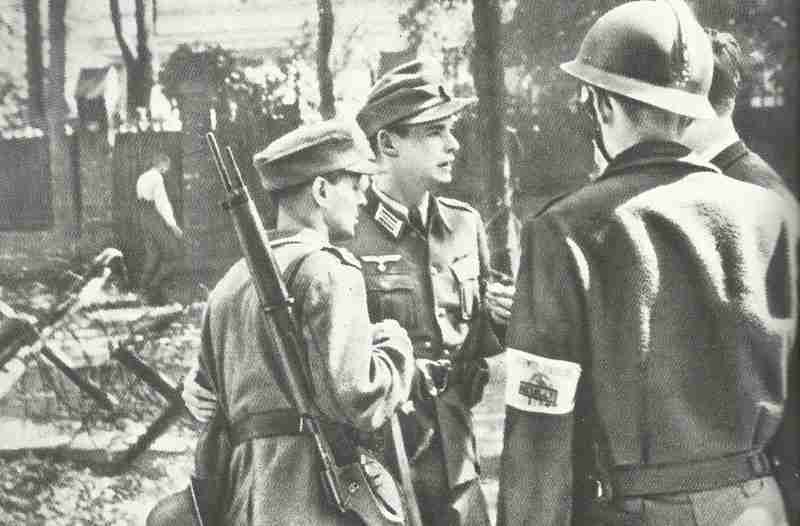 The insurgents wearing a bracelet with ‘passive defense’, while the German soldiers carry in 1940 captured French MAS rifles. UPRISING IN PARIS by FFI (Resistance). Vichy Government flees to Belfort. Petain arrested and taken to Germany. Britain: Death of Sir Henry Wood, composer-conductor and founder of annual London ‘Promenade Concerts‘; aged 74.